With a new website and Facebook page launched yesterday, Selvans have today debuted a digital single edit of “Lupercale”, a track that is originally over 9 minutes in length and which will appear in its entirety on the EP that the band hopes to release in 2015. This EP marks the last ever appearance of Morelli, who recorded all of the drum tracks and most of the vocals before his death, and in whose honour the EP is being released. 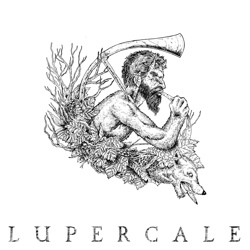 “Lupercale” is available directly from the band at their official pages. “Exactly one year ago today, together with the band, I announced that Draugr had split after ten years of activity. Barely a few months after that, on the same day of the month, we tragically lost Jonny, who has always been not just a good friend, but also a real example to us all.